When will you need “PROOF” that your preliminary notice was not only served but also received, by an authorized representative of the entity named in the notice? So it looks like the operative word here is “PROOF”. However, it is not. The truth be told, the operative word is “When”. When might you be asked to prove that the entities named in the preliminary notice actually received the notice? Because most preliminary notices completely satisfy the statute as long as the notice is served within the time frame and by a method, approved within the statute. Then why require “PROOF” of receipt? Because most Mechanics Lien Statutes ( which differ than the Preliminary Notice Statute) require that you not only prove that you served the preliminary notice, but also prove that the entity being served did in fact receive it. Here is the bottom line: Most, perhaps as many as 99%, of all preliminary notices, do not result in supporting a Mechanics Lien. The preliminary notice usually is released or reaches the end of it’s life when the job is completed and some time has passed (usually 90 or 120 days). If your company serves many preliminary notices during the course of a business year, and only a handful become needed to support a mechanics lien. Why spend a considerably higher amount for Certified Mail Return Receipt, or FedEx, or Process Server, or other delivery methods allowed within the statute. When less than 1% of your preliminary notices result in a Mechanics Lien? Some may answer that the 1% risk far out ways the extra cost for being secured on each and every served preliminary notice. This is surely one way to evaluate the risk. However, when we return to the original operative word; ‘When”. We find that the “When” can easily, and very cost effectively, be satisfied by securing “Proof of receipt” anytime up until 24 months, after the notice was served. So one may subject themselves to being penny wise and dollar foolish by paying 10% to 20% more for every preliminary notice served during the course of the year. Or you can afford the same level of risk, and obtain a “Proof of receipt” on any job, which is lasting longer than 20 months, and be ready to advance your Mechanics Lien with legal copies of all the signatures required to make your Mechanics Lien ready for court. 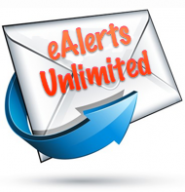 If you need a solution to maximize this process, we recommend the CRM “eAlert Unlimited” service along with our request for “Proof of receipt”. This entry was posted in California Preliminary Notice, featured, Lien Laws, Lien Notice, Mechanics Lien, Mechanics Lien Laws, Mechanics Lien Rights, Preliminary Notice on 05/02/2018 by CRMadmin.